Your Instagram aesthetic is important. 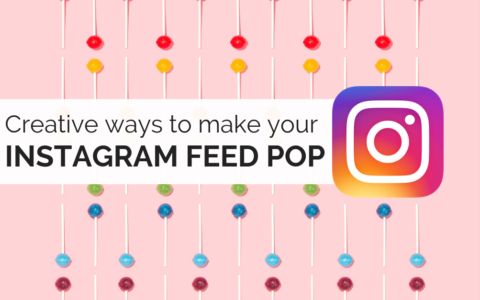 These days, it’s not enough to post live on Instagram and hope for the best when it comes to your grid – it needs to look creative and cohesive if you want to stand out among your competitors. Whether you’re creating advanced puzzle feeds that tell a bigger story; striking the right balance between posts, or ensuring your feed is visually cohesive – SmarterQueue’s Visual Instagram Planner will help you create a polished Instagram feed with no surprises. Get a holistic view of all your upcoming content and see exactly how it’ll look alongside your existing posts. Looking for some Instagram inspo? Check out our favourite creative grids. Give clients or stakeholders visibility of what’s coming up with a screenshot of content in-situ before it’s published. Got a row of photos that line up perfectly? Check how your content will look when it’s shifted along with Grid Shift. Grid Shift is a slider that allows you to preview your Instagram feed on specific future dates. It also allows you to fast-forward and see how your existing grid would be impacted by up to two extra posts after your final post is scheduled, to ensure your lovingly-crafted design doesn’t break. Using SmarterQueue to plan your Instagram content means that scheduling is taken care of too – queue up your posts with captions and hashtags, and receive a notification directly to your phone which helps to automate the posting process for you. Check out our in-depth guide on how to use the Visual Instagram Planner.